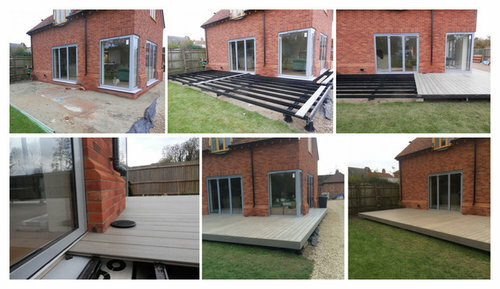 It's great to see the progress shots here - I'm sure this resulted in some rather happy homeowners! Garden help pleas: how to make a maintenance free garden on a budget? Changing a large deck to barbacue/fire pit paved patio.